Danielle understands that litigation issues can feel like a crisis on both a corporate and individual level. Danielle considers herself something of a crisis manager. Her career is all about litigation, and she defends companies and individuals in a variety of complex matters including commercial and business issues, real estate, employment, health law, and product liability. She also represents physicians, nurses, and other health care providers faced with professional board complaints. Her products liability experience includes defending death and personal injury cases for major automotive, mobile home, tire, and industrial and consumer products manufacturers. In addition, she has experience defending construction defect cases and medical malpractice claims. Before entering private practice, Danielle was a term briefing attorney (law clerk) for a federal judge. Her intimate knowledge of the judicial system helps her achieve successful results for clients in both state and federal courts. 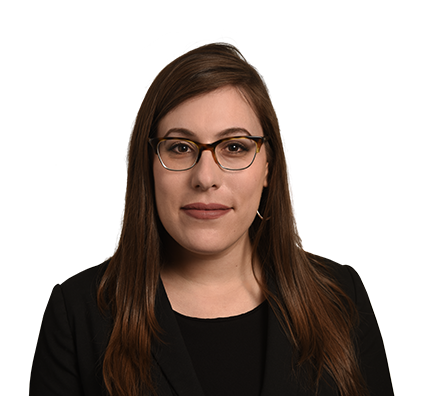 Danielle is also a member of the firm’s innovative eDiscovery Solutions team, which emphasizes a transparent, trustworthy, and cost-effective discovery process. Danielle enjoys the excitement of thinking on her feet, and how providing good defense can lead a company into a more stable position. Won jury verdict in defense of cardiothoracic surgeon in medical malpractice lawsuit. Won summary judgment in significant automotive product liability case involving death of driver. Obtained nonsuit of multi-million dollar False Claims Act claims against client. Obtained dozens of dismissals of licensing board complaints against health care providers at the complaint, investigation and Informal Settlement Conference (ISC) stages. Her mother was a Cuban refugee, and Danielle keeps her heritage alive by cooking traditional recipes. She also enjoys waterskiing and Austin’s live music scene.